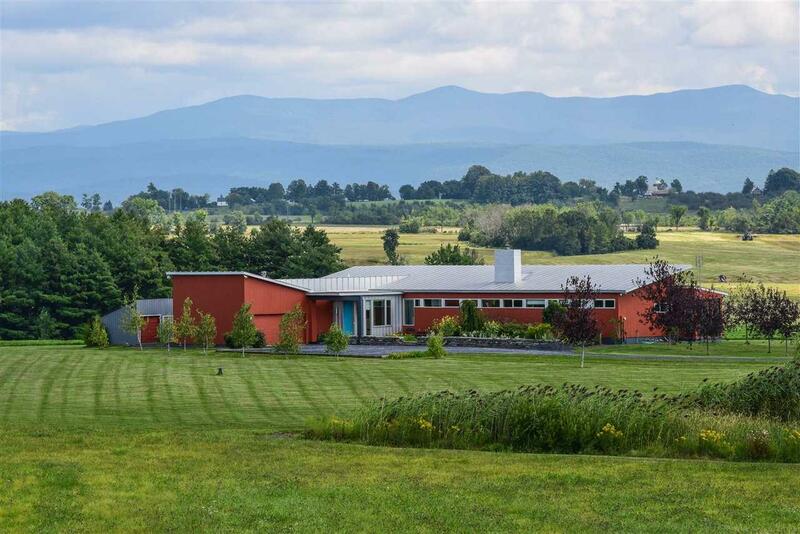 This Frank Lloyd Wright inspired, Architect-designed mid-Century Modernist home is perched on a knoll overlooking bucolic farmland with a Green Mountain backdrop. 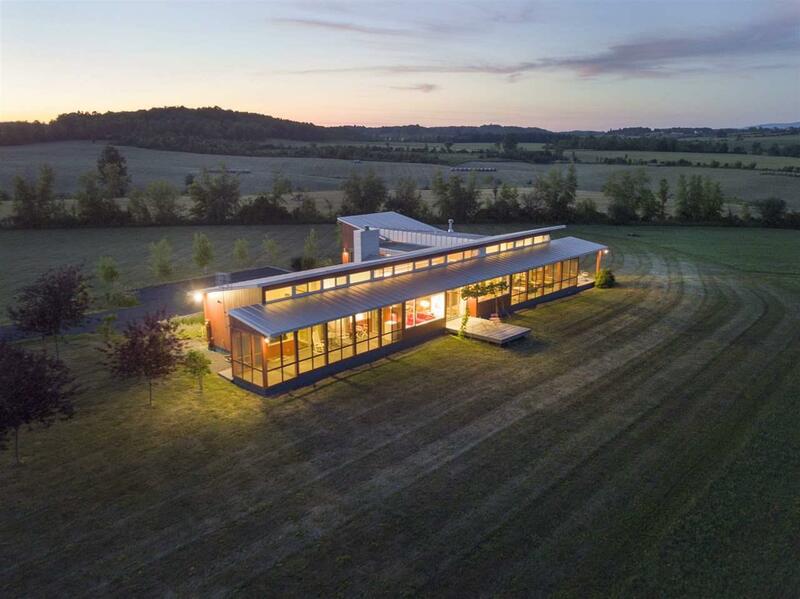 Sited for year-round passive solar benefits, walls of glass bring the exquisite landscape in at every opportunity. While clean lines and contemporary finishes nod to high style minimalism, there is a casual, utilitarian ease about this home make it what you want. The Master Suite wing includes a dressing area and bath, screened porch, as well as its own deck with exterior shower. 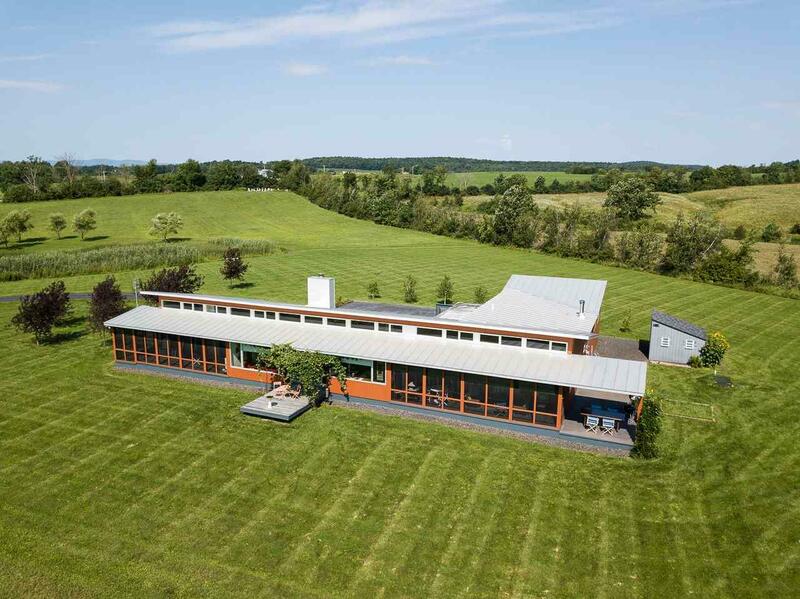 Two additional bedrooms and a shared bath bookend the home via a single open corridor, off of which most spaces open out onto the panoramic view shed. An open concept great room, kitchen and dining area is expertly configured, with a more intimate sitting/family room adjacent. You'll find convenience in the abundant contemporary built-in shelving and storage throughout, plus practicality and functionality in the pantry, laundry, and guest bath connecting to the attached 2-car garage. 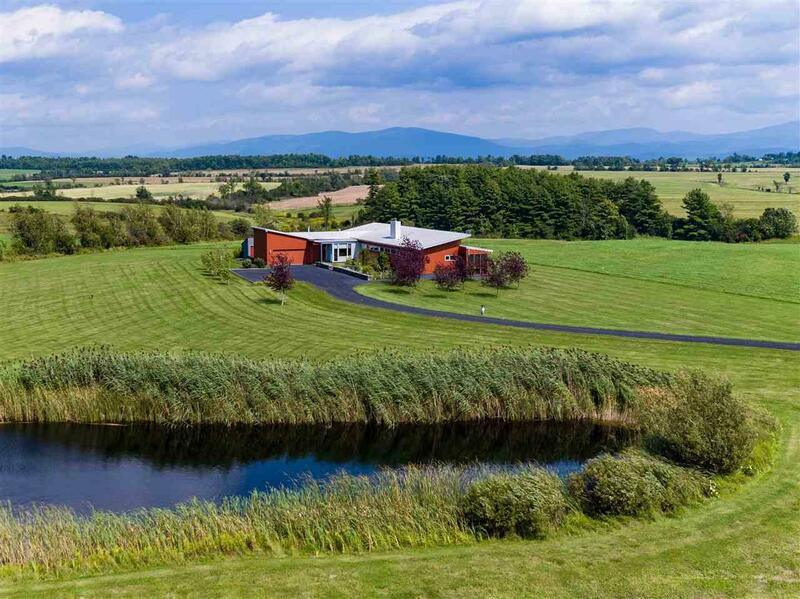 Step outside from any one of the screened porches or decks to find peace and tranquility from every vantage point, including the well-sited pond (a bird-watchers paradise), across rolling fields (the property is enrolled in "Current Use" to minimize property taxes), to the neighboring farms and mountain ranges beyond. Vibrant downtown Middlebury is less than 20 minutes, while Lake Champlain, nordic and alpine skiing, hiking, and biking are all within 30!